Houston-based power trio ROELANT is breaking a 4 year silence with their new single 'Wrong', released on Revolution House Records. 'Wrong' is a funk-rock juggernaut featuring monster riffs and horns and topped by ROELANT’s soaring vocals. Read More Houston-based power trio ROELANT is breaking a 4 year silence with their new single 'Wrong', released on Revolution House Records. 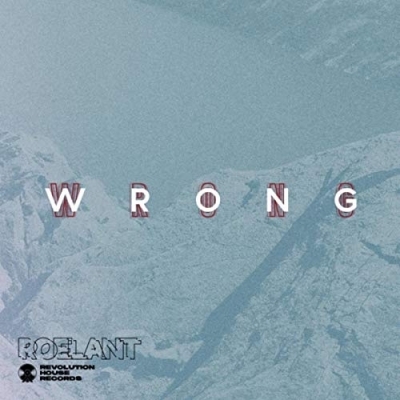 'Wrong' is a funk-rock juggernaut featuring monster riffs and horns and topped by ROELANT’s soaring vocals. ROELANT looks to follow up their 2015 release 'Music To Change The World By' which yielded two Billboard charting singles, 'Staring at the Sun' and 'Soda Pop Kids'. They’ve toured throughout Texas, notably headlining and selling out the Heights Theater in Houston. Now they’ve enlisted the talents of mix engineer Steve Christensen (Steve Earle, Khruangbin) and mastering engineer Dave McNair (Snarky Puppy, Fantastic Negrito) to record a new EP, 'The Narrows', which will release April 26th. "Rock n Roll was the protest music of the 60's and 70's and the tension in our culture at the time really fueled the music," says singer and guitarist Justin Roelant, "and it’s my hope that we can tap into that again to make a record that’s both grooving and thought-provoking."